If you like Bounty (who doesn’t?) be aware, ithis cake is addictive! Also, really easy to make! Using a mixer beat the butter and the sugar together until smooth. 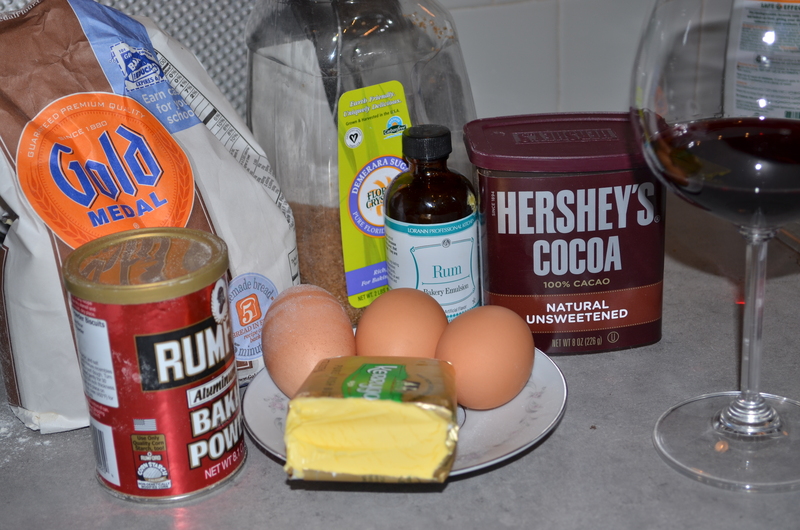 Add the eggs, one by one and then the milk and the rum and keep mixing. 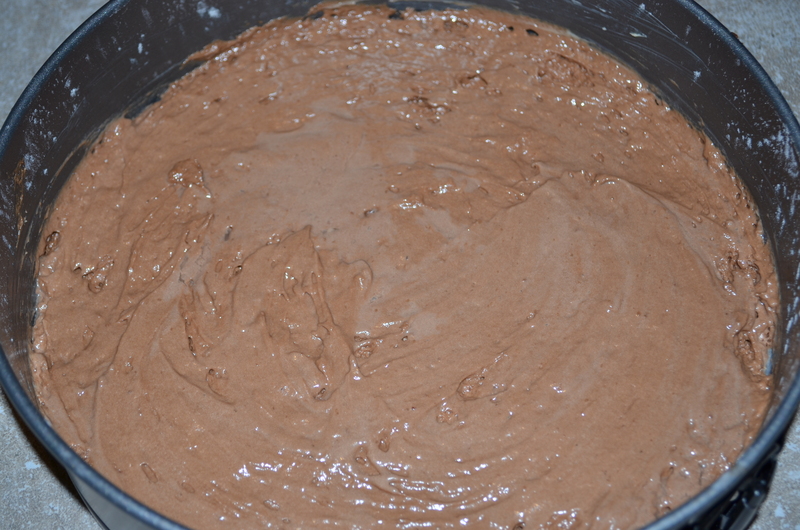 Mix the flour with the cocoa and the baking powder and sift them in the cake mix. 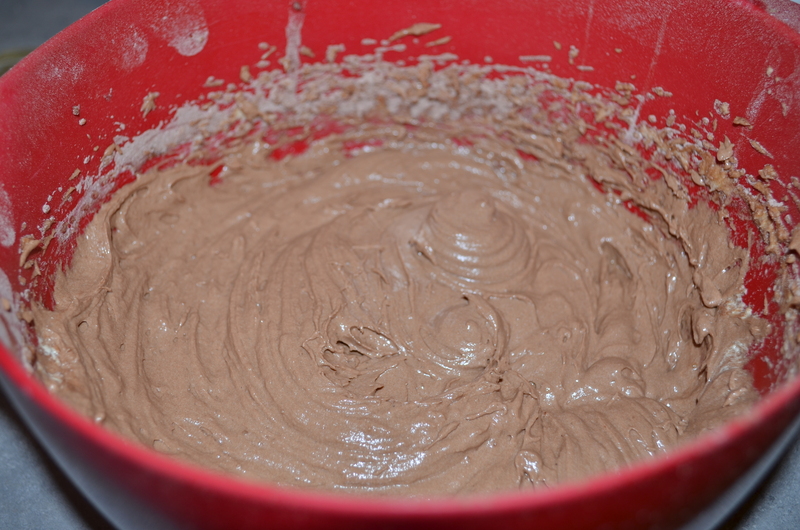 Mix well until you obtain a smooth batter. 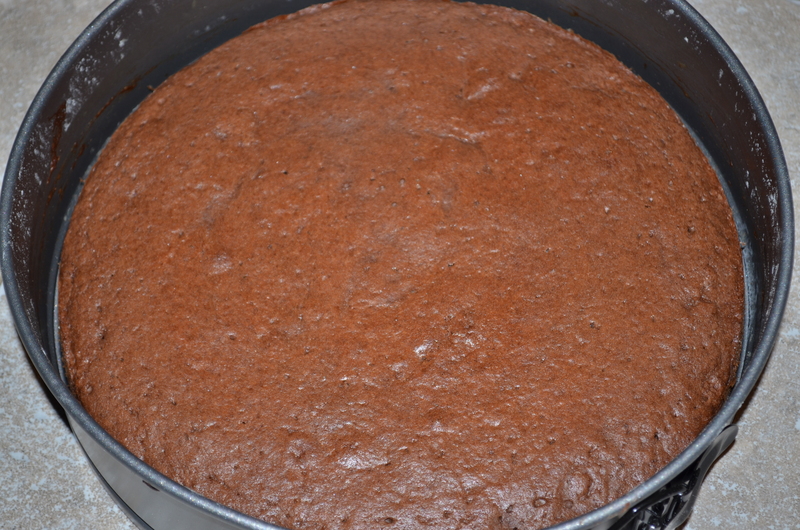 Use an 11” cake pan with detachable bottom. 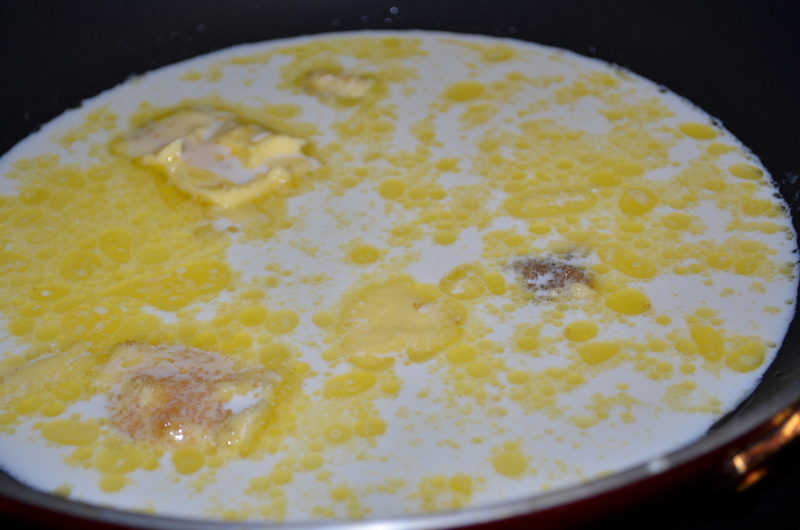 Cover the bottom of the pan with butter and spead a little bit of butter on the sides of the pan too. 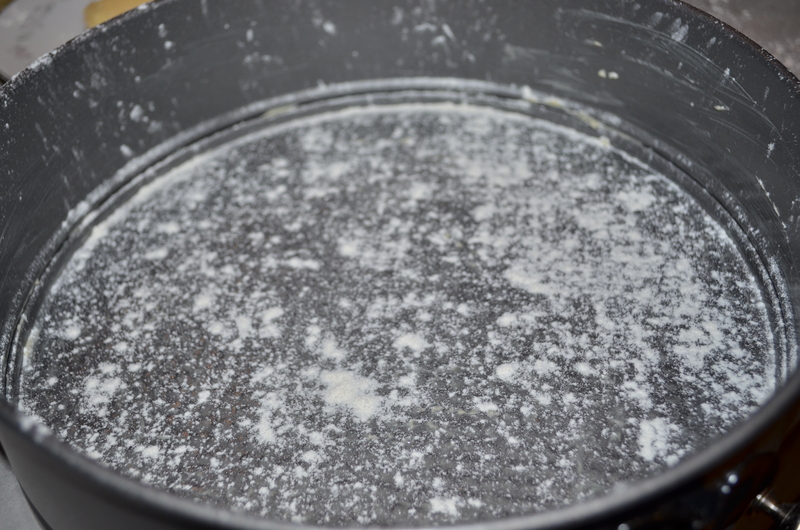 Sprinkle a small amount of flour over the bottom of the pan. 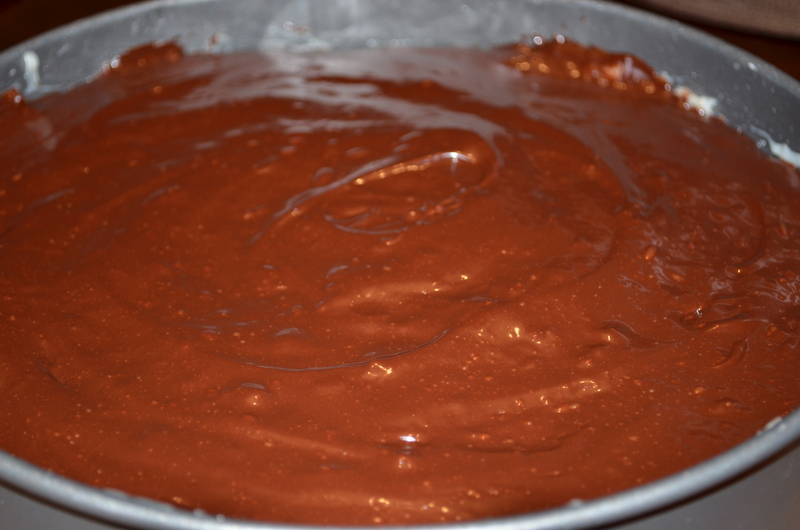 Put the cake batter into the pan. Using a wet knife try to level it as best as you can. Bake it for 20 mintues at 355F. (use a toothpick to make sure is ready). While the cake is cooling, start making the coconut cream! 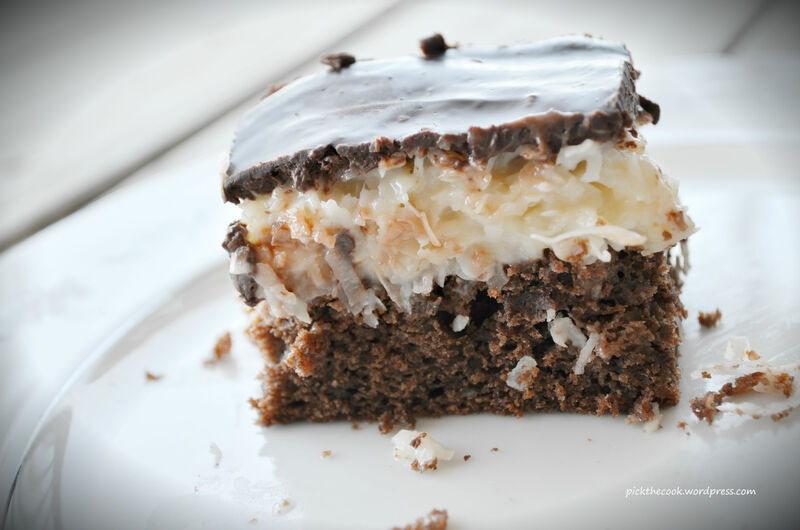 Put aside the coconut flakes. The rest of the ingredients transfer in a large sauce pan and start cooking on medium heat. Keep mixing with a wooden spatula until it starts to thicken. 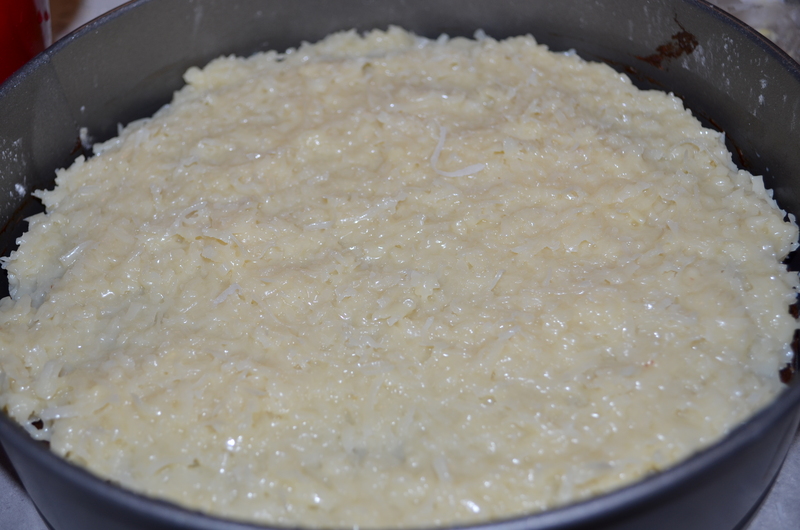 Add the coconut flakes and let it cook for another 2 – 3 minutes. 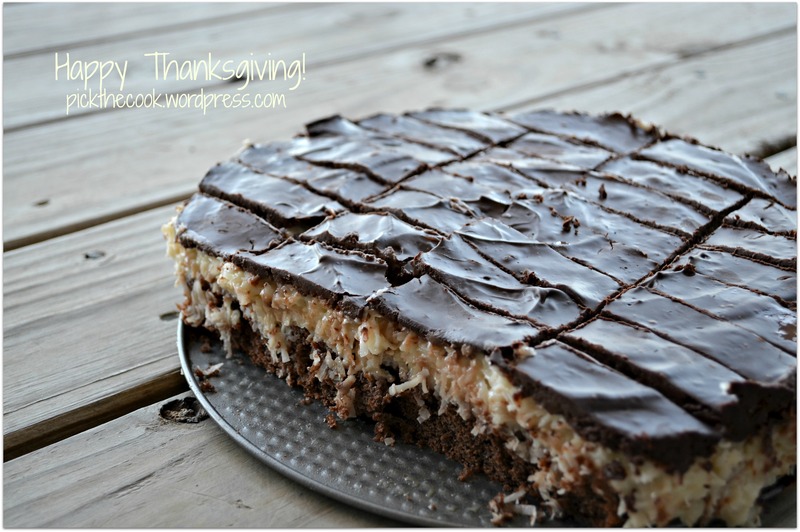 Put the coconut cream on top of the cake and start preparing the chocolate coating. 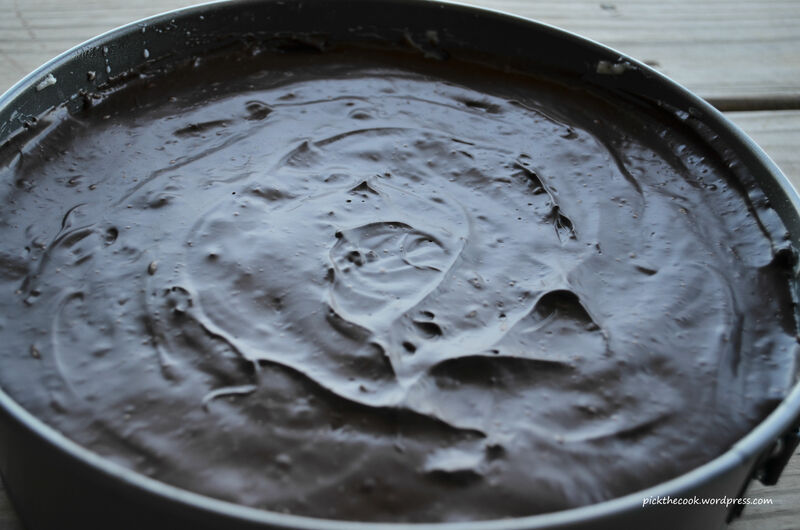 Break the chocolate in small pieces and microwave it with the butter until it melts. Get it out of the microwave and mix it using a spatula (make sure you do that in the same direction all the time). 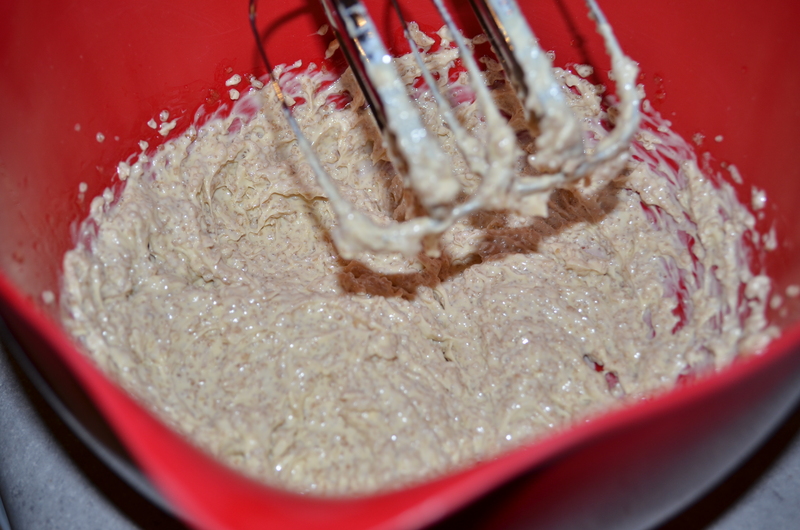 If it starts looking dull and cheesy, add a few drops of cold water and keep mixing. 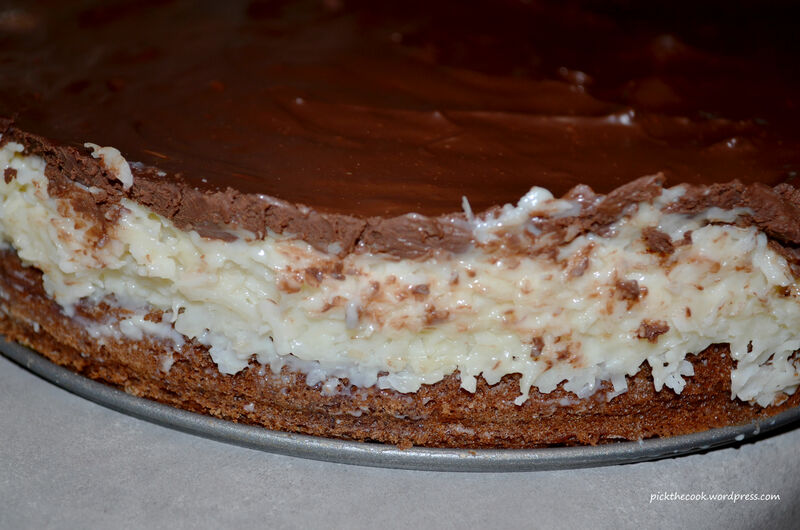 Put the ganache on top of the coconut cream and refrigerate the cake for an hour. Remove the ring of the cake pan. Using a well knife cut it into small “bars” (keep the knife wet and clean, it make cutting easier). Oh, my! This looks delicious!